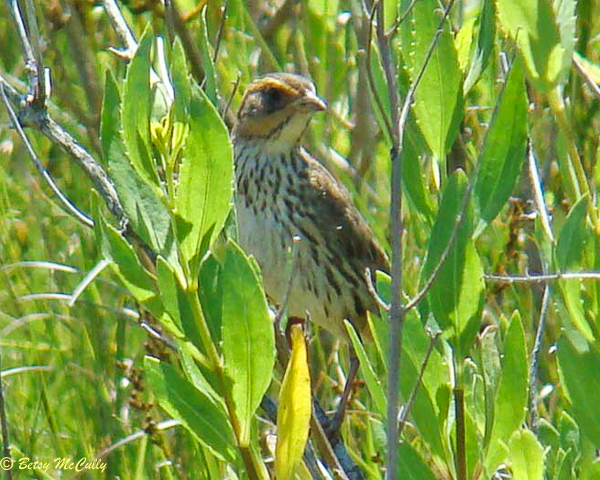 Salt Marsh Sharp-tailed Sparrow (Ammospiza caudacuta). Marshes. Oceanside, Long Island. Red Watchlist.